Introducing Live Debugging for AWS Lambda — AWS Lambda Debugger is a tool for remote bugging Lambda functions running on Node 6.10. Processing 100,000 Events Per Second on Azure Functions — The Azure App Service Team pushed 76 billion events through Azure Functions to test its scalability/throughput limits. Microservices Without Servers — A 40-minute talk charting one developer’s progression from the headache of managing servers to using serverless approaches. 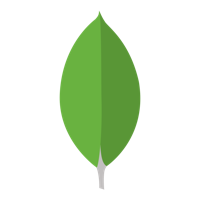 View the GitHub repo from the live coding session at MongoDB World 2017 — At MongoDB World this year, MongoDB CTO, Eliot Horowitz, threw caution to the wind and built a serverless blog comment engine live on stage. View the outcome of his keynote on GitHub. A Serverless AWS Mobile React Native Starter App — Bootstrap a React Native application on AWS. This starter provisions a serverless infrastructure with auth, image storage, API access and database. Getting Started With Versioning in AWS Lambda — Have you gotten something working in AWS Lambda, but every time you want to make a change, everything breaks? Twilio Introduces 'Studio', a Visual Programming Environment — The telecoms services provider takes their serverless approach a step further. Serverless Sorcery with ImageMagick — Deploying image manipulation tool ImageMagick as a scaleable serverless function with OpenFaaS and Kubernetes, or Docker Swarm. Build a 'Serverless' Ping Service and Status Page in 5 Steps — ..using StdLib Scheduled Tasks and Node.js. Serverless Architecture for a Banking Chatbot — A good look at how Qanta.ai implemented serverless for their chatbot service. Includes details on their performance gains. Serverless Superheroes: Adam Johnson, Monitoring, and The “No Ops” Myth — An interview with Adam Johnson, co-founder of the serverless monitoring service IOpipe.